This 3-day 252-mile ride travels from Simpsonville to Newberry, then through Orangeburg and finishes in the beautiful city of Charleston. 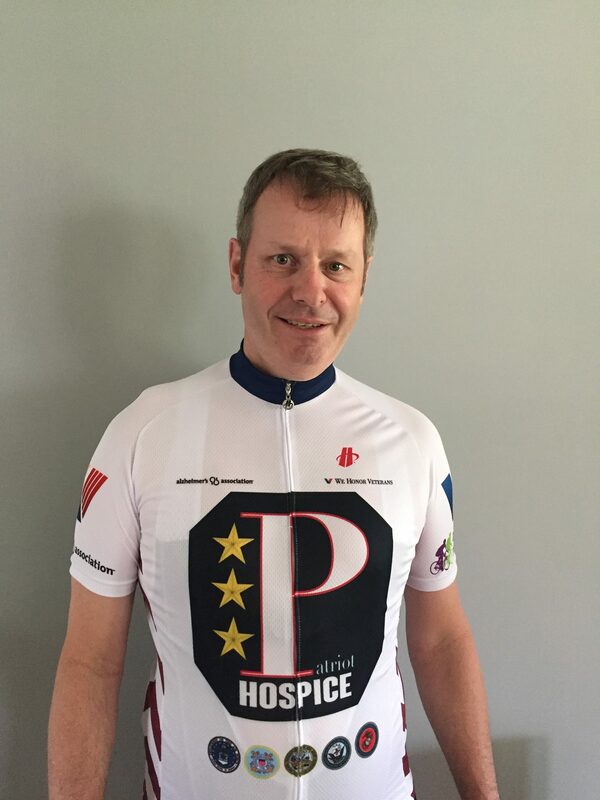 The Patriot Pedalers Riding Team is sponsored by Patriot Hospice, headquartered in Greenville, SC with additional offices in Walterboro and Conway, SC. 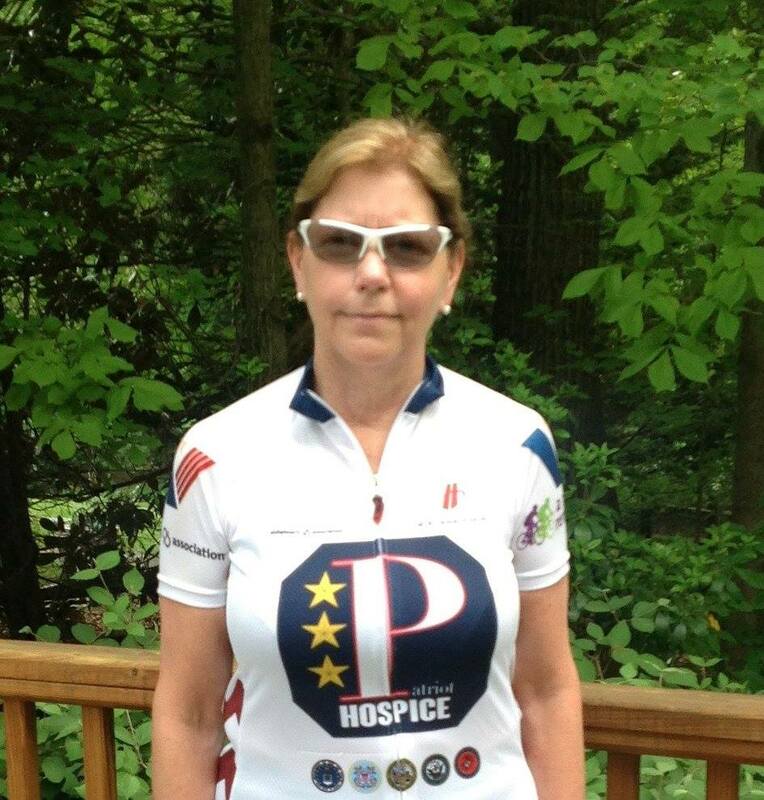 Jill Birmingham, CEO at Pariot Hospice, is one of the original participants in the very first Ride To Remember. She was the lead bus driver for the ride and provided well needed volunteer services. She has continued to supply and drive the lead bus for the ride each year and provide exceptional volunteer support to the riders. Jill has also made this a family affair as her father, brother and cousins have all ridden in the past. Her mother, children and husband have all contributed in the past as volunteers. Alzheimers’s is one of the leading causes for death in the hospice community and Patriot Hospice is dedicated to assisting in any way to eradicate this dreaded disease. We invite you to participate and share with us the names of your loved ones who have struggled (or are struggling) with Alzheimer’s. Our riders will wear their names as a memorial on one of the race days. This is free of charge. I started riding several years ago just as a hobby with one of my friends and really didn't think I would like it but here I am, 8 years later and I'm riding at least 4-5 days a week. I started riding in the RTR rides 3 or 4 years ago as just one of those "bucket list" rides to see if I can do it, but then I saw how much money the rides were raising for research for this awful disease and actually how many family members/friends this disease has touched in my own life. It's the least I can do to raise awareness and money to find a cure to end Alzheimer's. This will be my very first Ride to Remember, and also the very first time I've ever ridden these kinds of miles back to back to back. I have only been road cycling for about 2 years now but bikes have been a huge passion of mine ever since I was a young boy. I am participating in this ride to challenge to myself and to test my mental strength when I'm tired and my body wants to quit. I am also riding to help raise money and awareness for to help find a cure for Alzheimer's. It is a disease that hits home to so many people and i would like to do whatever I can to help find a cure. I am Dolph Bosse. 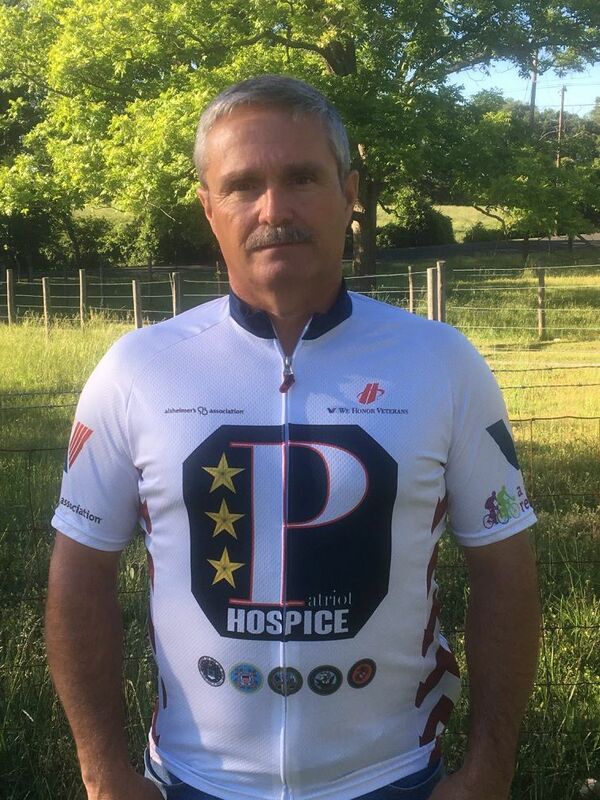 This is the second year I have participated in the Ride to Remember with Patriot Hospice. Alzheimer's disease devastates families. Although I don't have family members with this disease, I have friends who have had to provide care and resources . It is draining. I believe they will find the cause of Alzheimer's in my lifetime and I ride to help that effort. I'm participating in the RTR because it's a cause I truly feel needs our continued support. All of us have, or will be affected by Alzheimer's Disease either personally, through family, or friends. I have a childhood friend who's grandmother and mother, had their lives cut short by Alzheimer's. She started showing symptoms in her 50's and had to be placed in a home this past year due to the advanced progression of the disease. We have a huge aging population and this will mean many more individuals will be vulnerable, hopefully with continued support and research the future will look brighter for all of us. My name is James Bowen, and this will be my fourth Ride to Remember. Several years ago, my mother was diagnosed with Alzheimer's. Over time, her condition worsened to the point that she could not safely live alone, and she now lives in a memory care facility. Seeing the effects of Alzheimer's on her as well as the others who live with her made me wish that there was something I could do to help. Then I found Ride to Remember. Through Ride to Remember, I am able to support a cause that is very important to me through something that I love: riding my bicycle. It is my hope that someday there will be a cure for Alzheimer's, and until then, I plan to support research and promote awareness about the disease. 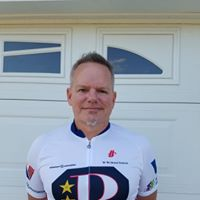 I live in Ames, Iowa and this is my 3rd year as part of the Patriot Pedalers team. This will be my first year riding as previous years I helped out on the support team. I look forward to riding this year. 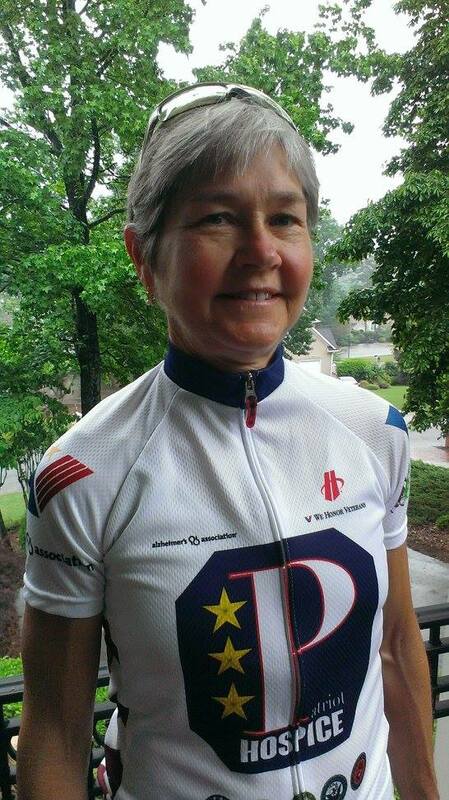 I'm riding in memory of my grandmother, Mary Doggett, who passed away from Alzheimer's a few years ago. Let's hope the weather cooperates this year! Go Pedalers! 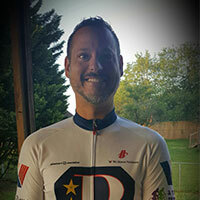 Gregg Cromer first rode the Ride to Remember in 2014 as a cycling enthusiast who had ridden in many races and organized rides, but never a charity ride. Raising money for the Alzheimer's Association added a new challenge and as his competitive nature kicked in, he quickly surpassed his fundraising goal. During his fund raising efforts in his first Ride to Remember he learned that his Mother-in-Laws Father had died from Alzheimer's. He also learned that his Aunt's Father had died of Alzheimer's. 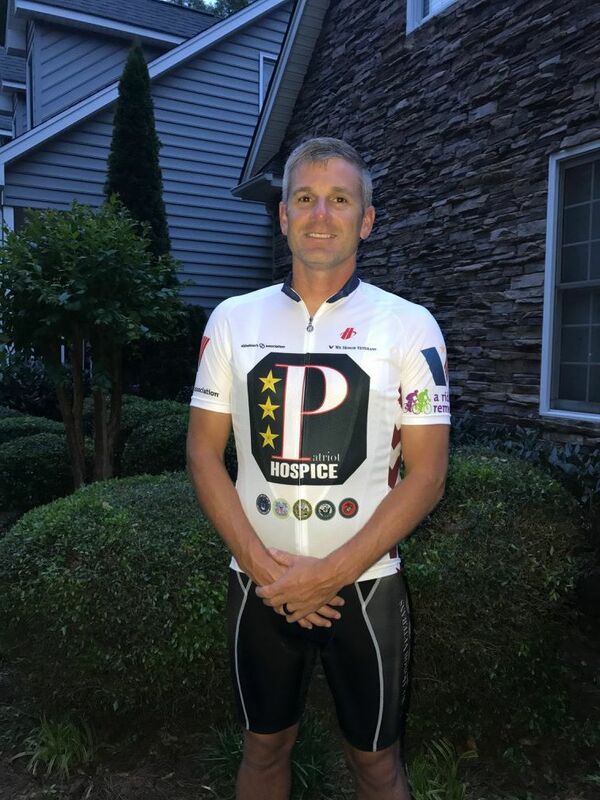 The satisfaction he gained from raising funds for a worthy charity, the tremendously organized ride directed by the Alzheimer's Association staff, and the comradery and friendships gained along the 252 mile route keeps him coming back now for his fourth Ride to Remember! 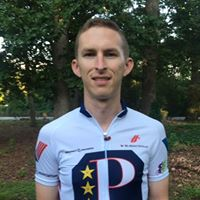 As a veteran of the United States Navy submarine service, he is proud to be representing the Patriot Pedalers in 2017! I am a Pediatric Oncologist and Director of the Pediatric Blood and Marrow Stem Cell Transplant Program at Methodist Children's Hospital and the Texas Transplant Institute in San Antonio Texas. This will be the fifth year I have ridden in the RTR and I am excited to be doing it once more. 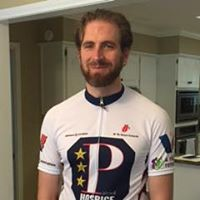 I ride to raise money for research, and as a oncologist I understand the importance of research funding into one of the most devastating illnesses we have. 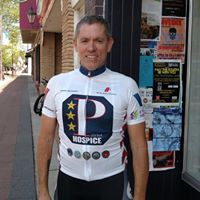 I am happy that my ride will be supporting a great cause and for Patriot Hospice which has been a great steward of our riders over the years. A colleagues mother had Alzheimer's and he wanted to do the ride across SC and asked me to join him. I had not known anybody with Alzheimer's, but I was keen to ride my bike across SC. Raising the money was easy, when I mentioned what the ride was for people gave me checks up to $200 and thanked me for riding. As I raised the money I learned about the disease and how it affects so many people. 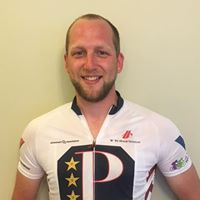 My colleague and I created the Wheels of Misfortune team and I encouraged my cycling friends to join us and our team that year raised the most money. This will be my sixth ride to remember and every year I see Andrew King and we ride across SC together. When I saw him last year in the Patriot kit I remarked how great it looked and said that next year I would like to be on his team. 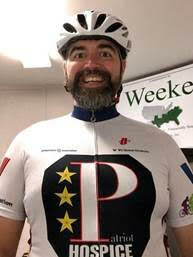 So I am looking forward to another ride across SC, I have raised $2700 and excited to be a Patriot Pedaler. 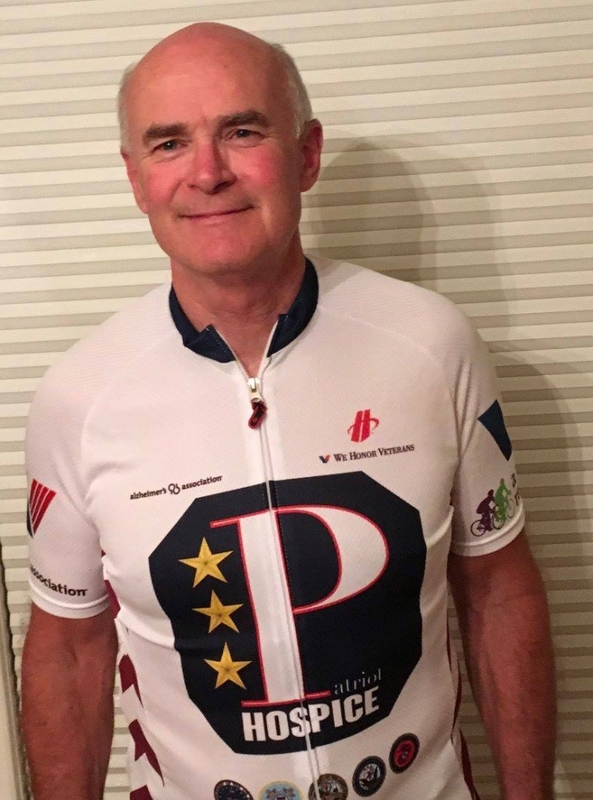 My wife Jan and I are excited to be participating in our ​third​ RTR as part of the terrific Patriot Pedalers team, and we appreciate the generous sponsorship of Jill Birmingham and the others from Patriot Hospice. 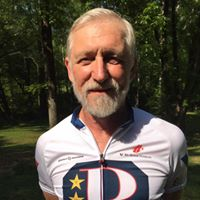 I am riding in memory of Jan's mom, Maree Thomas, who suffered with Alzheimer's disease for 15 years, and the loved ones of my supporters who have generously donated to the Alzheimer's Association. 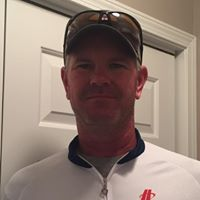 Our team captain, Tom Quinn, has once again promised 3 days of cool, dry weather and a 252 mile downhill ride, so I'm sure it will be a blast. This is my first ride for Ride to Remember. I am excited about the first of many to come. I will be riding in memory for my Mother In Law Teressa Prater King. I can hear her now" have you lost your mind"? For all those who have and continue to suffer from this horrible debilitating illness, this is for you. Now let's show some support and raise some money for research. My namesake and grandfather was diagnosed with Alzheimer's and suffered for two years before he passed. I ride to remember the good times with him and to erase those memories at the end of his life. It is very hard to witness this downward progression and it takes a toll on loved ones. We must find a cure. As for myself I reside in Manning.​ I took up cycling about 5​ years ago. I was a jogger (nothing serious) but started having hip problems. I bought a beach crusiser Wal Mart bike and rode it until the bearings fell out of the crank! My wife bought me a Garmin tracker and that helped me stay motivated. I retired the watch a few weeks ago and it had over 14,000 miles of tracked cycling! I bought a hybrid bike and rode that for a couple of years and now use it as my stationary trainer. Before the RTR last year, I bought a true road bike and cycling shoes and cleats and got real serious! I ended the year at 6,000 miles cycled including the RTR. I did 900 miles in July because of the ride! I consider myself a road junkie! My training is a little off this year due to job change, but I will​ be ramping up the training now. I was shocked to be invited to the team but certainly honored. As a Army and Air Force veteran, your company interests me in what they offer to our veterans. (Thank you!) To be a on this ride is a tremendous accomplishment and knowing we are all using our efforts to raise money brings great joy. This will be my 7th Ride to Remember, and my 3rd as an employee of Patriot Hospice. I see too many families losing their loved ones, even well before their passing. I've had several family members, including grandparents suffer from severe dementia and Alzheimer's, and it's the caregivers who suffer, as well. I still have one grandparent left, "Mama Koon," and she is living in memory care with severe dementia. I do this ride every year for her, my granddad, and everyone I've met along the way who currently has or had a loved one suffering from dementia/Alzheimer's. I began hearing about Ride to Remember as far back as year one. Good friends of mine kept us up to date and the ride always sounded like such great fun and for a great cause. This will be my second year participating in RTR. > > Alzheimer's has not in the past meant much to me other than it was a horrible disease. My 1st year participation was as much to raise money as it was to ride. On my second year I now have a more close to home reason for riding. > > A few weeks ago my Father age 82 decided he would be better off if he just went to sleep and did not wake up. This was a tragic mistake brought on by early dementia and Alzheimer's. In his right mind my father would not attempt something so selfish. I am in the process of providing his care and looking to the future with hope. I ride for a purpose and with humility. I am 40 years old, and this is my 4th year doing A Ride to Remember. This ride is dedicated to my parents’ neighbor and retired school teacher, Fran Wilimon. Fran holds a special place in my heart, and it is an honor to do this ride for her and help fight this debilitating disease. 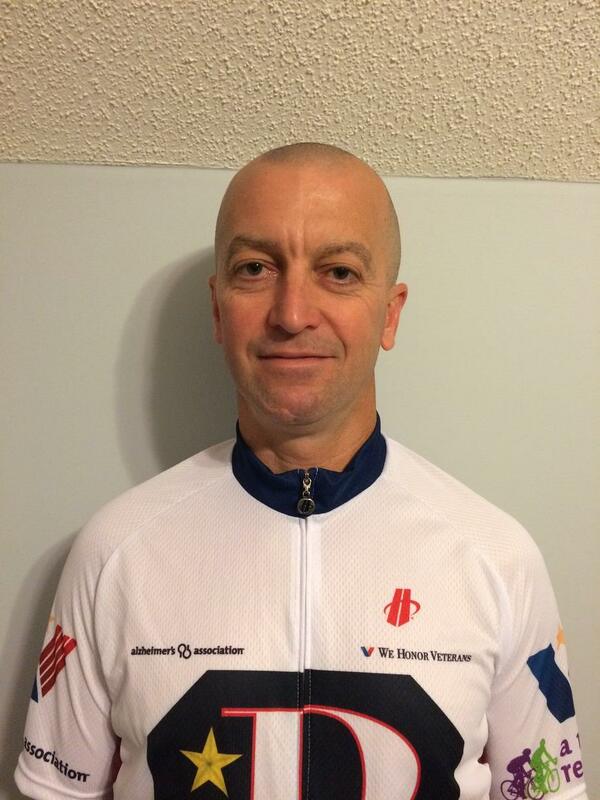 I am also riding for those who sponsored me who have had family members pass away due to Alzheimer's. I have been riding for 7 years and also ride for Team Finish Strong. 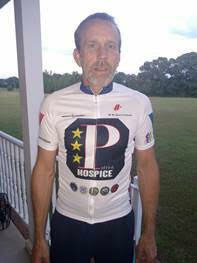 I am very honored to be a part of the Patriot Pedalers and thankful to Patriot Hospice for sponsoring our ride. This will be my 3rd ride across South Carolina. It is always an adventure and the people I get to enjoy the ride with always make it a special event. 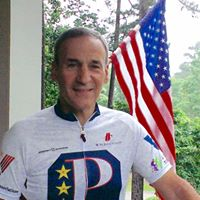 I ride to enjoy time on the bike with my Dad, Tom, and we ride in honor of his late Grandmother and Grandfather who were caregiver/victim of Alzheimer's. Making and sharing memories is the best way to celebrate the battle against such a vicious disease. This year our family continues to expand our participation with more riders and volunteers. 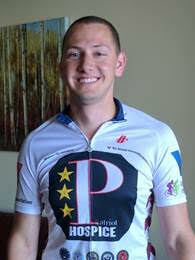 We look forward to representing Patriot Pedalers and the great state of Iowa again this year. This is my 4th year to ride the very hot and strenuous Ride To Remember. The route is actually not too taxing, but the heat makes this Ride a challenge. Temperatures will exceed 100 degrees before the day is done. However, I have the pleasure of having much of my family around me. My son, Jason, will pull most on day’s 2 & 3, so we will move along quickly. I will be joined by nephew on the road, Mike Eckrich and my wife, daughter, daughter in law and several grand-children as volunteers. 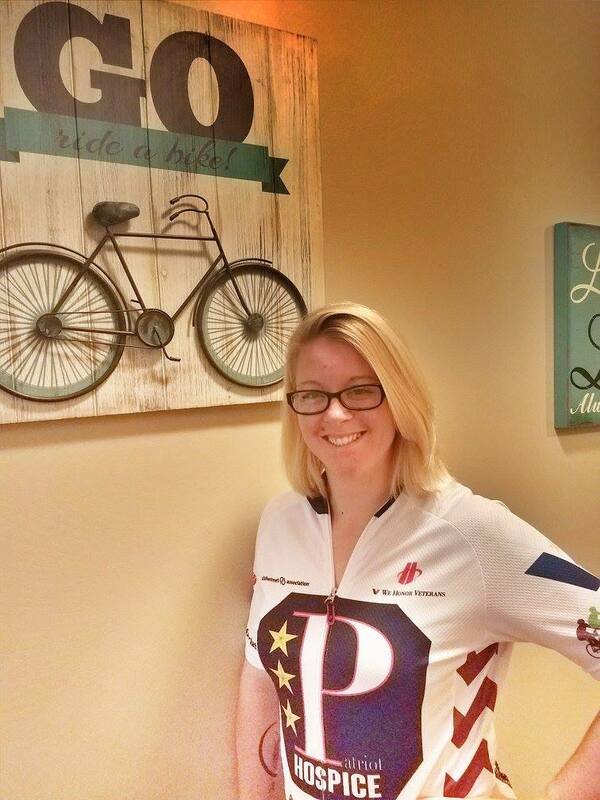 This is the 3rd year that I have acted as Team Captain for the Patriot Pedalers. 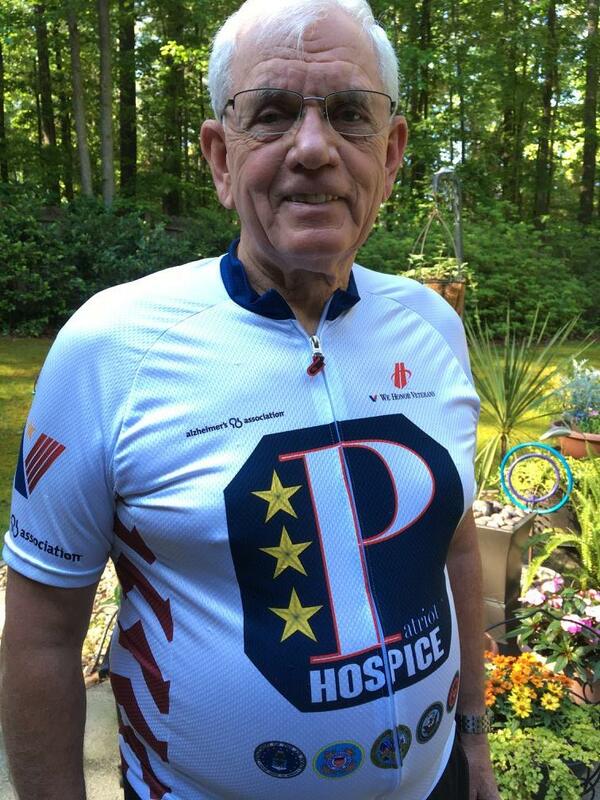 At age 75, I have made the decision that this will be my last year to attempt the ride. However, I am sure my daughter Jill Birmingham – CEO of Patriot Hospice - will keep the pressure on to continue for one more year. This will be my 4th Ride to Remember, and my 3rd time riding with the Patriot Peddlers. Every year I ride in honor of my late grandfather, Ed Hanek. He suffered from Alzheimer's and this was the first time witnessing the effects of this horrible disease. Another person I usually ride for is Louis Cashwell. I became great friends with his son during my college years and we've remained close ever since. Unfortunately late last year, Louis lost his battle with Alzheimer's. The Cashwell family has always been a big part of my fundraising campaign and to ride for him this year is the best way I can pay it back. 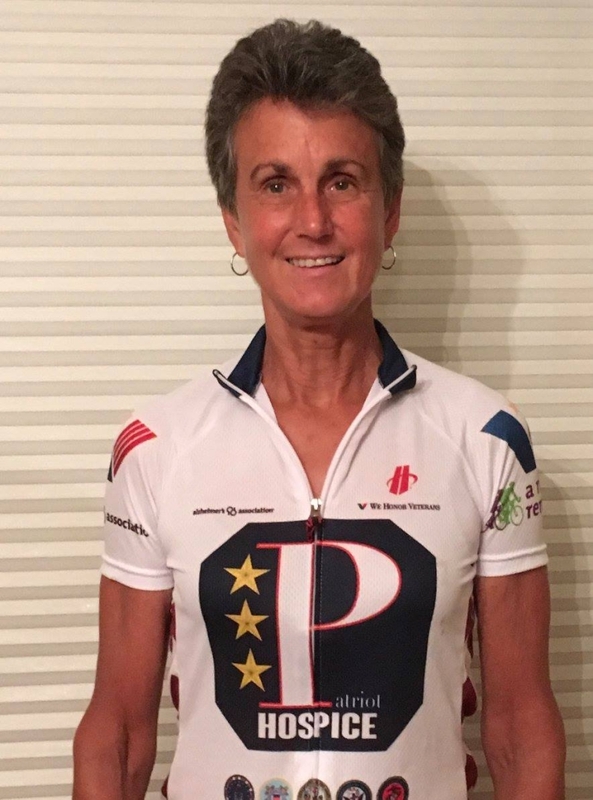 I am thrilled and honored to join the Patriot Pedalers for the first time in 2017. In particular, I am excited to ride alongside my amazing, loving and ever-inspiring mother, Carol Thomas Stone, who rode on her own in 2016 and has inspired me to join her this year. 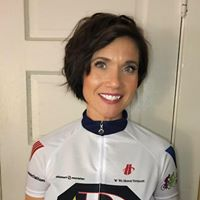 Together, we ride in loving memory of Maree Thomas and in continued support of Doris Stone and Edmond Rochat who we are still blessed to have in our lives.